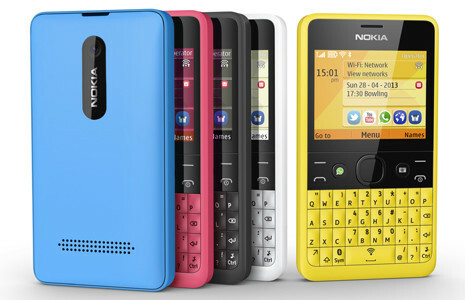 Today, Nokia launched their new phone, the Asha 210. This phone is meant to compete with BlackBerry and BBM. Sadly, this is not a smartphone, but Nokia makes up for it by running Symbian S40 with some pre-installed apps like WhatsApp, Facebook and Twitter. The Asha 210 features dual SIM (two SIM card slots), making it convenient for consumers who travel frequently so they can use the same phone for two different carriers. It comes with 64MB of internal storage but can be expandable with a microSD card with a capacity of up to 32GB. There isn’t 3G so you will be stuck with EDGE (800/1800 MHz) but it also has Wi-Fi and Bluetooth. Weighing at 98g and measuring at 111.5 x 60 x 11.8 mm makes the phone convenient to carry around unlike those big phablet phones. The Asha 210 comes with a physical QWERTY keypad, minimizing the screen size to a 2.4-inch QVGA (320 x 240 pixels) screen. 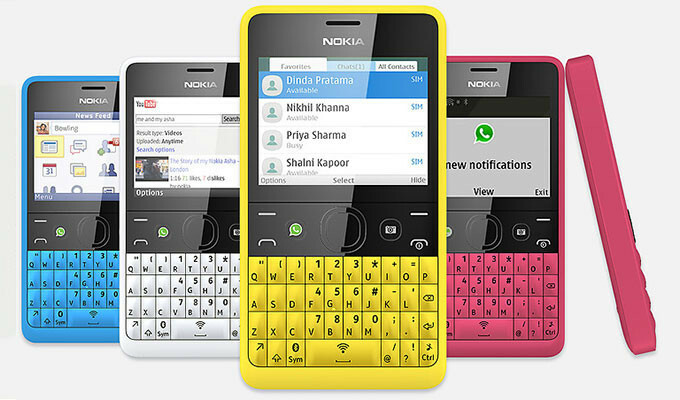 ome software that the Asha 210 offers are Nokia Nearby and Nokia Slam. Nokia Slam is a special feature that allows consumers to share files quickly with each other via Bluetooth without pairing with another device. This is similar to Wi-Fi Direct except you don’t have to pair your devices. The battery life can last up to 46 days with a single SIM and 24 days with dual SIM. Like the Nokia Lumia phones, the Asha 210 will come with a variety of bright colours to match your style. It will be available in yellow, cyan, black, magenta, and white. The price is estimated to be $72 USD contract-free and it is expected to start shipping later this summer.